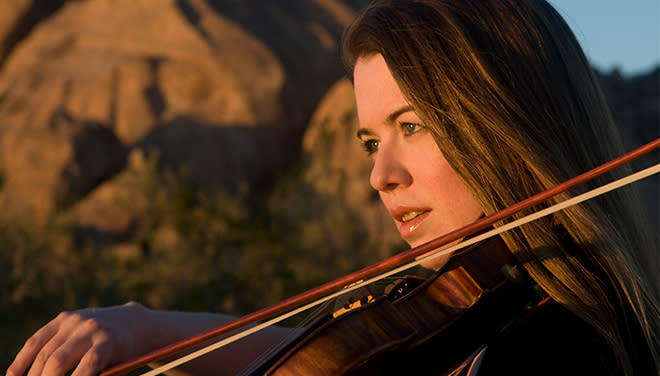 Canadian-born violinist Lara St. John has been described as "something of a phenomenon" by The Strad and a “high-powered soloist” by The New York Times. Starting the violin at only two years old, St. John made her first appearance as soloist with an orchestra at age four and made her European debut with the Gulbenkian Orchestra when she was 10. She has been featured in People, US News and World Report, on CNN's Showbiz Today, NPR's All Things Considered, CBC, BBC, a Bravo! Special called Live At the Rehearsal Hall and on the cover of Strings.